It's completely unbelievable that this figure is still available, I was fortunate enough to snag an exclusive version, but he is SO COOL that I'm considering getting the regular version, just to be able to display him. 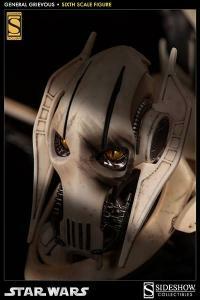 This has got to be one of the crown jewels of Sideshow's 1/6 scale releases. 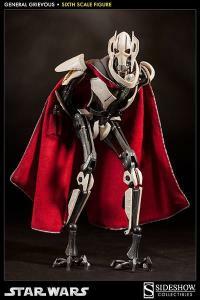 This has got to be one of the COOLEST figures that Sideshow has ever released in the Star Wars line. 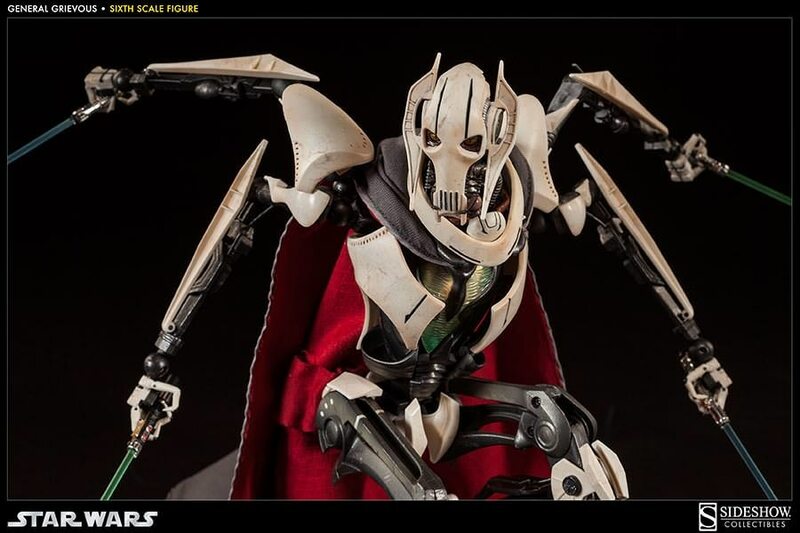 The detail, posability, & the attention to details on this figure make Grevious absolutely STUNNING. 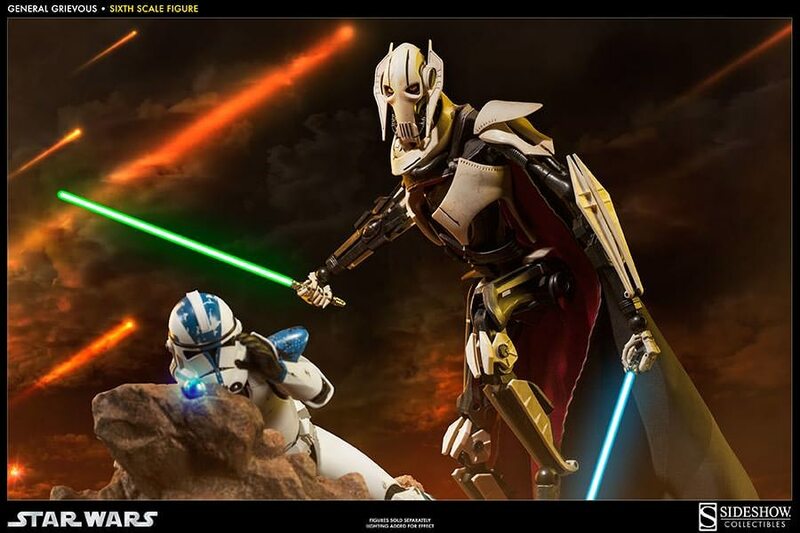 I have an exclusive version with the damaged headsculpt & he is one of the center pieces. 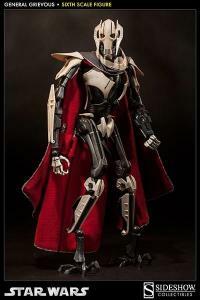 Get one! 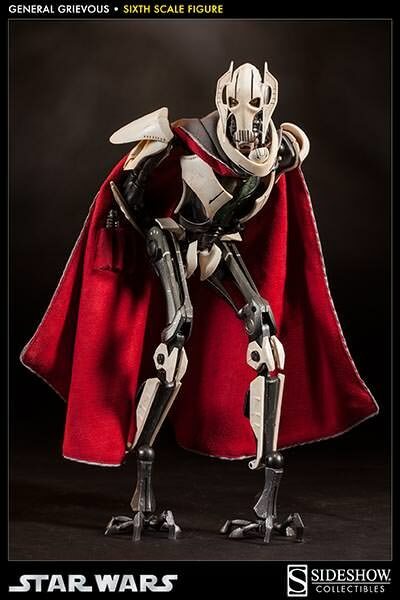 My god it arrived like two weeks ago, got a direct instalment on the shelf and well can't stop posing it it has hundreds of ways to pose with those movable limbs. 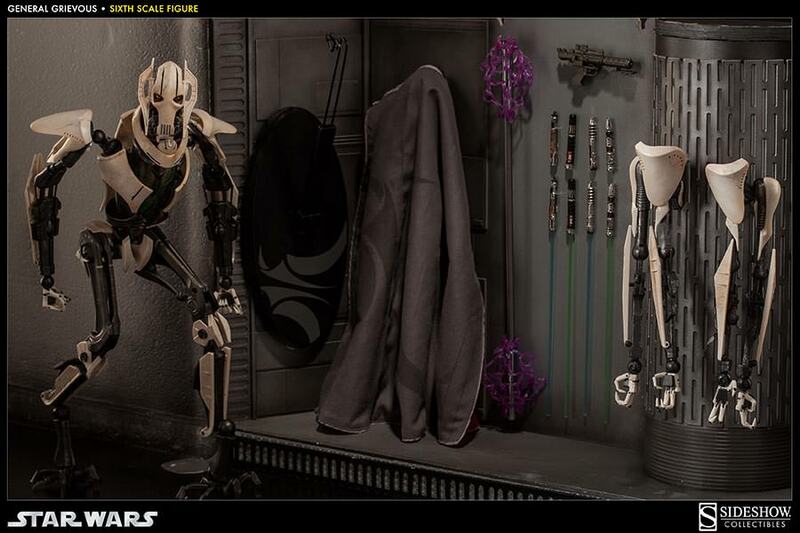 Then we're not even talking about the many extras he has... Like the cape and the lightsabers! A must have for Star Wars Fans! 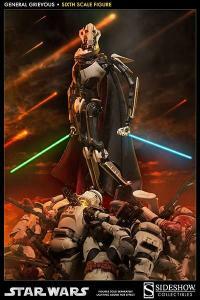 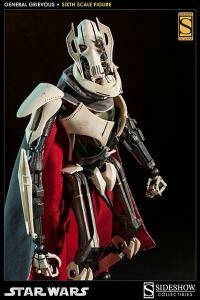 Easily the best Star Wars sixth scale to date. 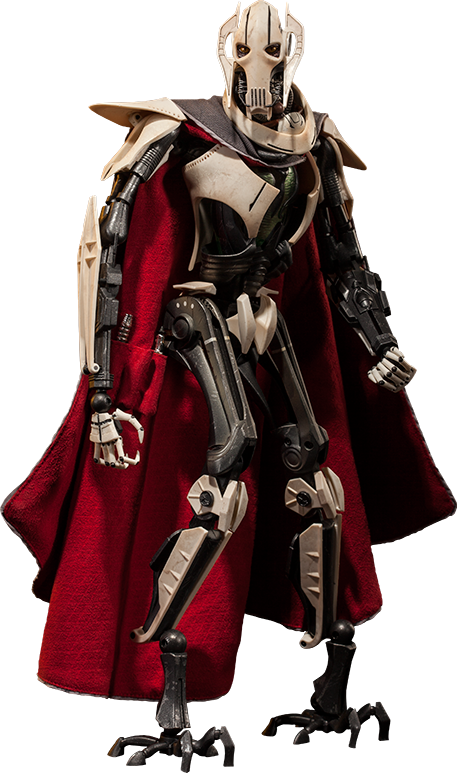 Poses and articulates well. 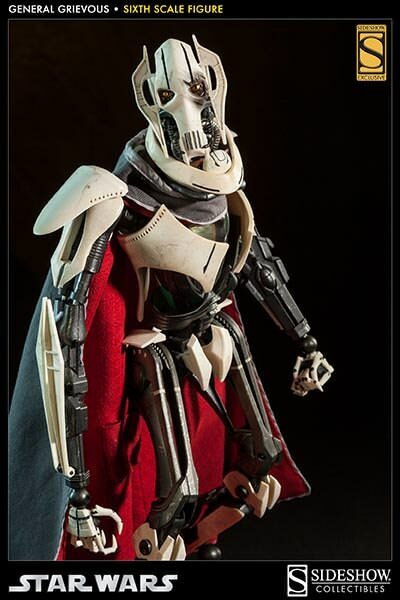 The details and likeness are amazing. 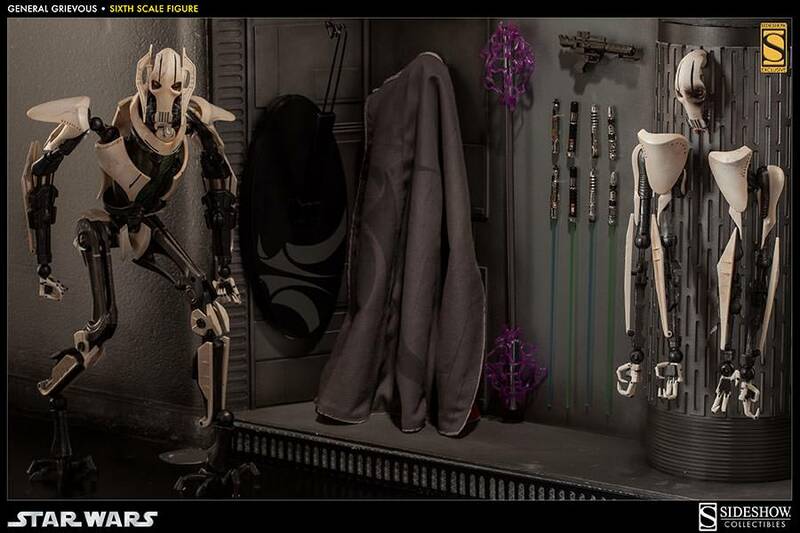 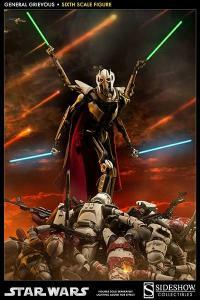 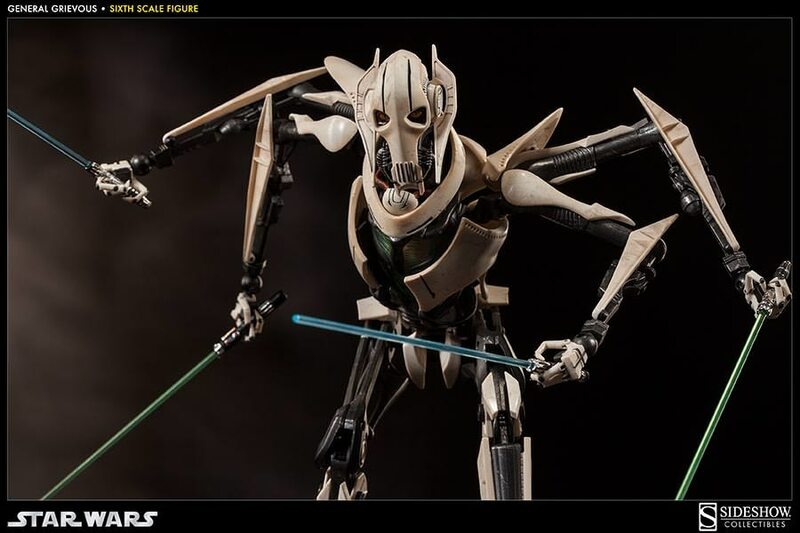 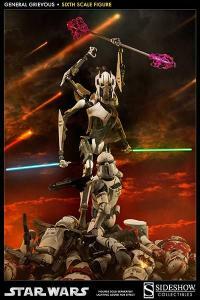 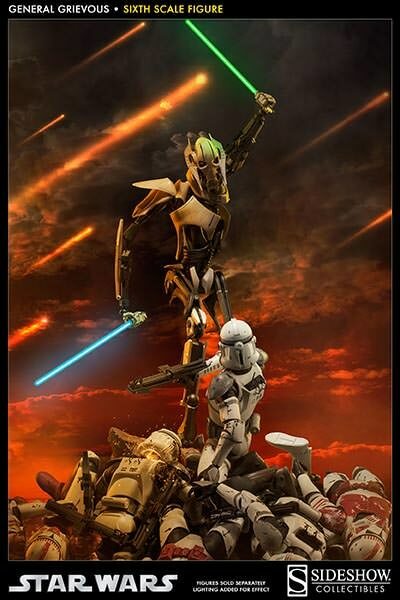 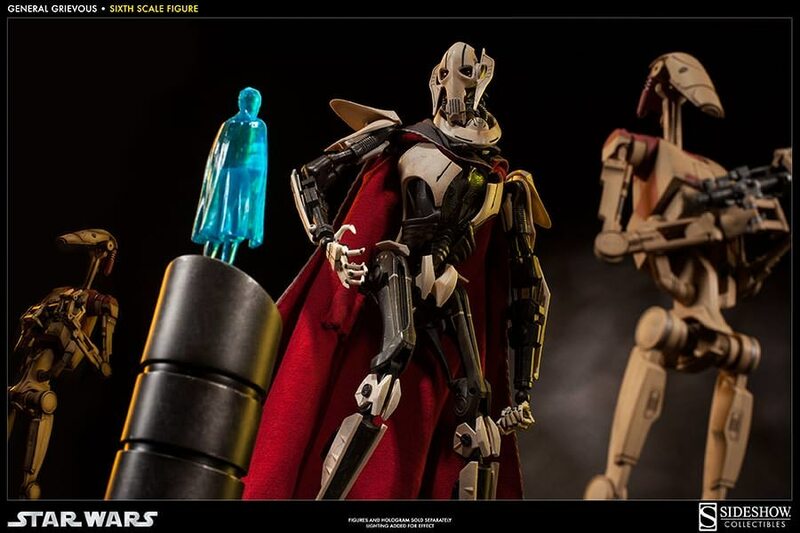 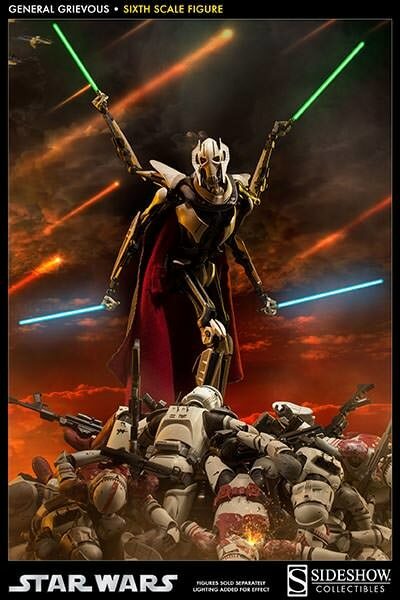 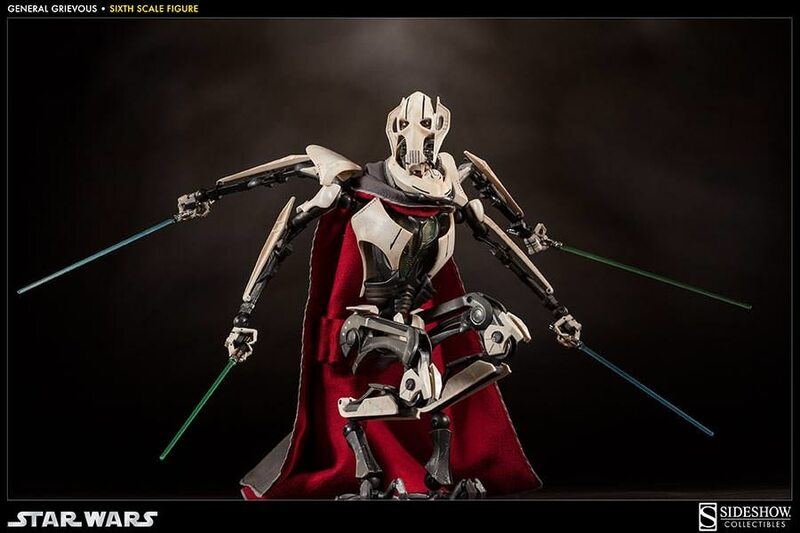 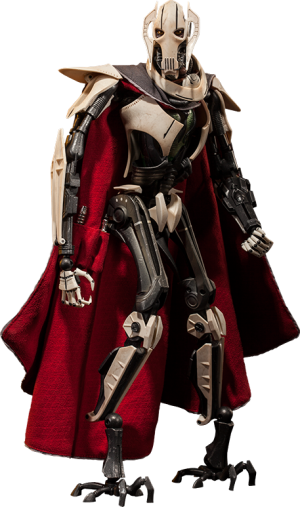 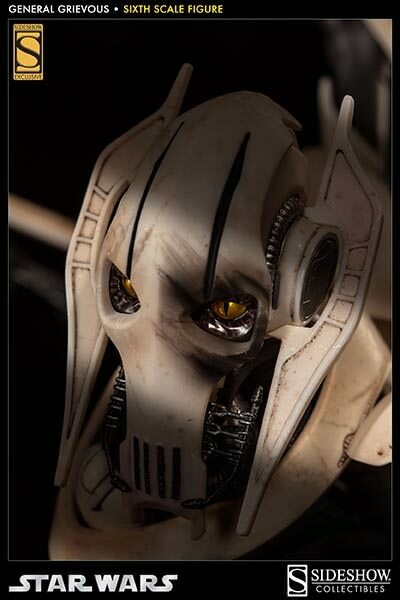 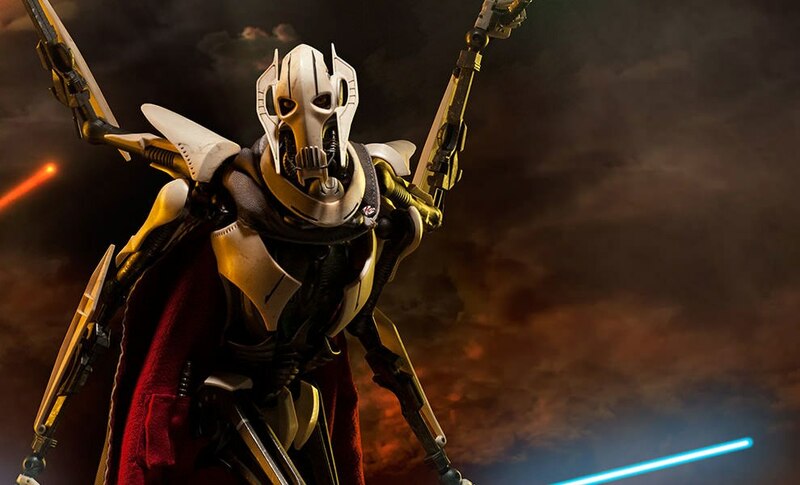 Grievous really seems menacing when placed next to any other 6th scale clone or droids figures. 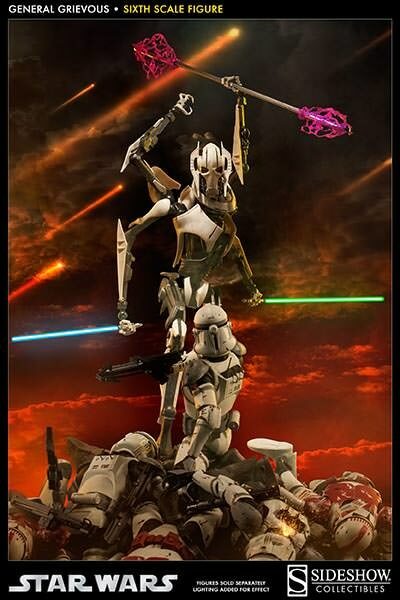 Magnets in the hands and weapons are a strike of genius.